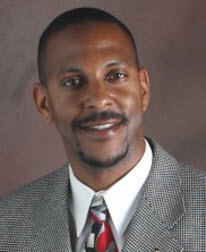 P. Ramone Crowe, Jr. owns Java Exchange Café formerly called The Wall Street Café a financial theme wireless coffee shop. The Wall Street Café received the Award for “Best Small Business” in Oakland, Wayne and Macomb counties. In November 2006, Crowe, received the “The Most Progressive Businessman of the Year” Award, by the Wayne County OneStop, SBA and Michigan Small Business Technology and Development Center (MISBTDC). In 2007, The Java Exchange was voted “One of Top 4 Coffee Shops” in Southeastern Michigan. In February 2008, I received the Spirit of Detroit Award from the Detroit City Council. Mr. Crowe served four years in the US Navy and entered the Advanced Electronics Program. He was involved in Desert Storm/Desert Shield an Honorable Discharge from the Navy on June 14, 1991. Mr. Crowe first job opportunity was working for TRW Vehicle Safety Systems, Airbag Division as a Lab Technician. He took an exam to be an Air Traffic Controller and passed then later accepted an electronics technician position where he was assigned to Detroit Metro Airport Air Traffic Control Tower, in the Engineering Unit. In 1999, he was promoted to the FAA Technical Support Unit for Superior System Management Office (SMO) at Willow Run Airport and assigned to provide technical support on FAA Visual Navigational Systems, Power Distribution Systems, and Environmental Systems to local FAA technicians at every airport in Michigan and Wisconsin. In 2002, he became the acting National Airspace Program Manager for the FAA in Superior SMO. In 2004, he assumed the position of Non-Fed Coordinator; ensuring navigation systems at all non-federal controlled airports in Northern Michigan, Wisconsin, Iowa and Southern Illinois are compliant with FAA regulations. 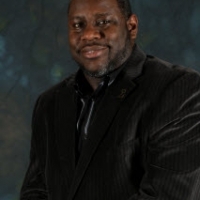 Mr. Crowe served as the National Vice President for the National Black Coalition of Federal Aviation Employees (NBCFAE). 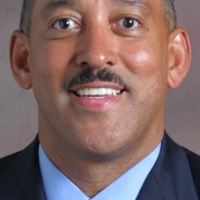 He is a member of the Airport Minority Advisory Council (AMAC) and the FAA’s Technical Women’s Organization (TWO), Bessie Coleman Foundation, Federal Managers Association. He is currently attending Central Michigan University pursuing a BA degree in Organizational Management. He enjoys spending time with his wife Sharen and five year old daughter Raven.